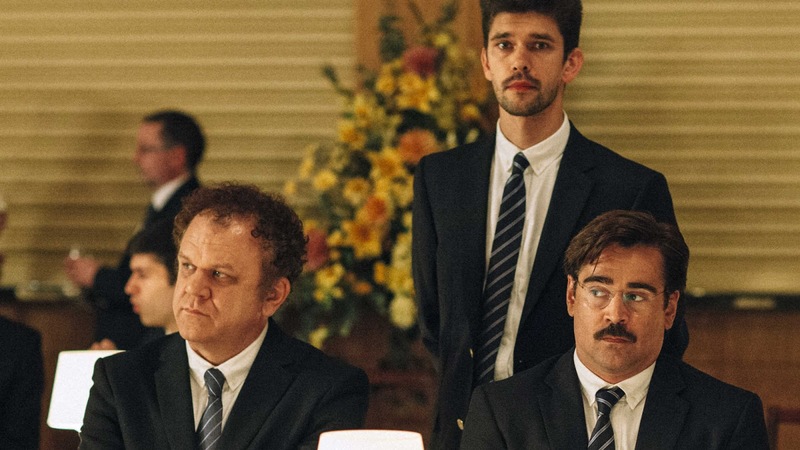 ECLECTICVIEWS.COM: NZIFF 2015: Film 1: "The Lobster"
NZIFF 2015: Film 1: "The Lobster"
All great directors have one trait that distinguishes them from the others - a 'clarity of vision'. They can articulate their unique vision into a completed work of art that readily defines them as having an abundance of talent when it comes to crafting a movie with all its disparate elements into a film that people quite willingly, pay to see. Greek auteur Yorgos Lanthimos has a worldview that is, singular, charming, weird, mysterious, and above all else, utterly compelling. Aside from those descriptive terms, The Lobster is one of those films that is best experienced with your own eyes, You will never see established actors like Colin Farrell, Rachel Weisz, Ben Whishaw & John C. Reilly utilized in such bizarre fashion! The opening film of a festival tends to set a tone for all the riches to come. This oddball charmer does that with ease.